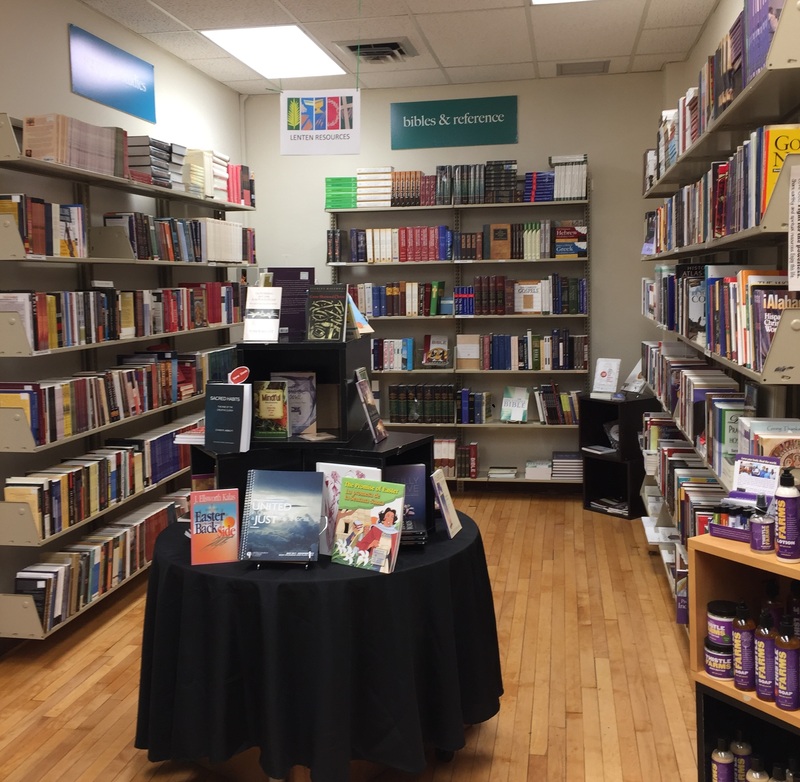 The Eden Seminary Bookstore is a vibrant part of our campus life. 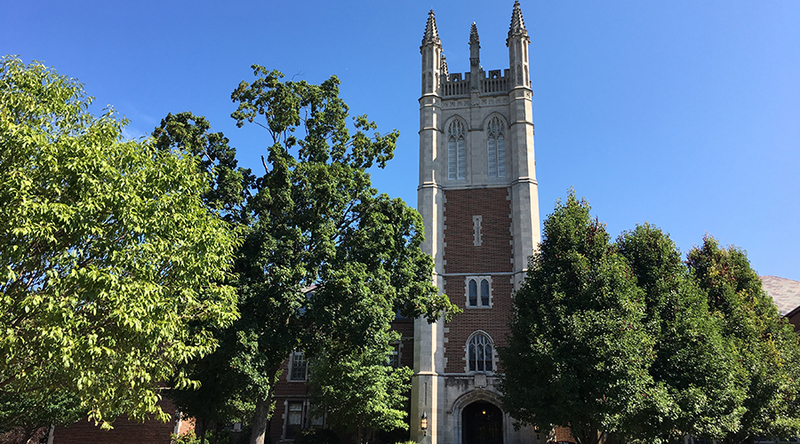 It is open to students as well as the St. Louis community. The Eden Bookstore is one of the best sources in St. Louis for progressive Christian reading material. The Bookstore is located on the main level of Press Hall on the Eden campus. The Eden Bookstore has the latest theology to stimulate your brain, hand selected by the Eden faculty. 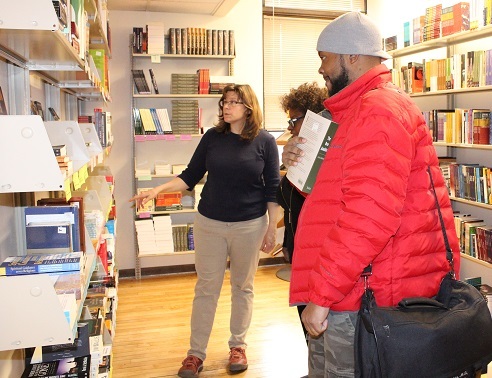 Come and find new inspiration in our Christian life and spirituality sections or explore topics in gender and sexuality, liberation themes, African American Studies or Eco/Green theology. We have a wide selection of books reviewed by the Christian Century, including novels and poetry. Our ministry, preaching and worship, Christian Education and pastoral care sections are deep. If you don’t find what you are looking for, we are happy to special order your book. Come check out our selection of Eden logoed gifts and swag! 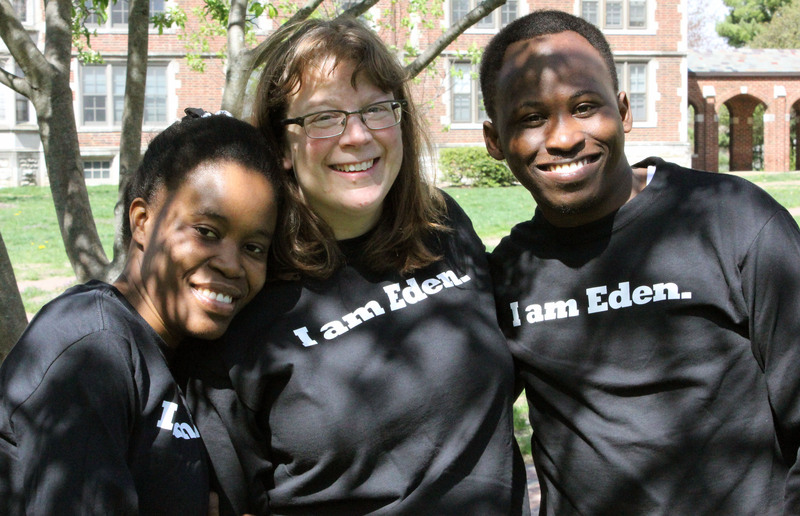 Show your Eden pride with logoed apparel, mugs and other gifts. If you are out of town, call us! We’ll take your order over the phone and ship out your Eden swag. The Eden Bookstore has a great selection of stoles for special occasions and will order clergy apparel for you. Whether for Sunday morning worship or when “the church has left the building” for public action we can help. We also have a variety of beautiful scarves and fabrics from Guatemala that can be worn or dress an altar, as well as hand-painted crosses and plaques.